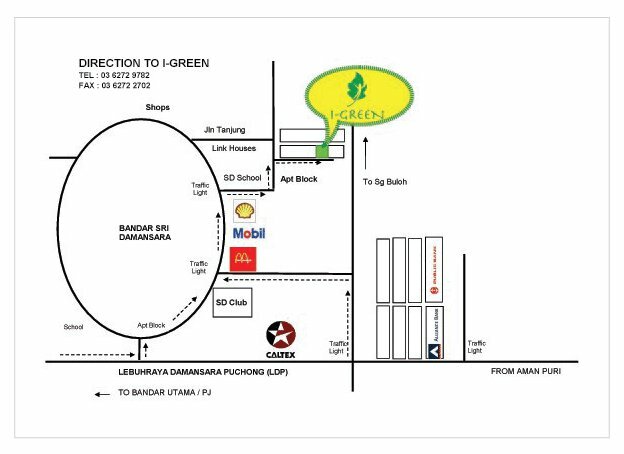 I-Green will be running a warehouse sale this Friday and Saturday the 13th and 14 of May at 22A Jalan Meranti SD13/5, Banadar Sri Damansar, Kuala Lumpur. 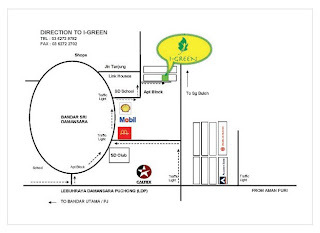 Refer to the location map below. They will have discontinued, short expiry or slightly damaged stock on sale. E.g. Esmeria natural products that have been discontinued and replaced by Esmeria Organics, baby skincare products from our sister brand - Buds. 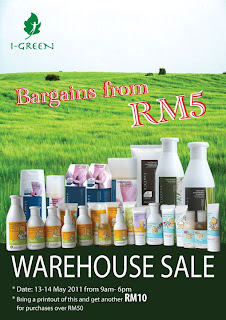 Prices start from RM5! 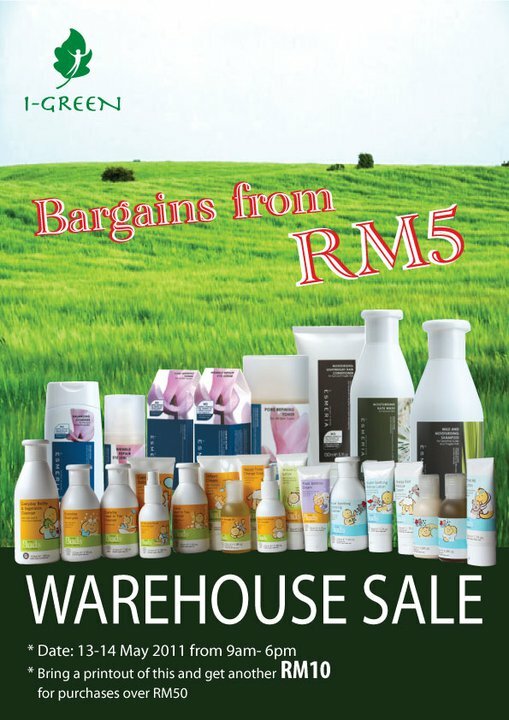 Before you go, print out the voucher above to get RM 10 of any combined purchase over RM50!